English Heritage does a lot of good work to ensure that the important buildings, monuments and other sites that hold historical value in England are protected, preserved, and available for us all to see and learn about. They are also responsible for protecting listed buildings and other things such as shipwrecks and historical bridges, and there are over 400,000 such places in England. English Heritage has over 400 places you can visit, from a fascinating cold war bunker to medieval castles, and from sites of interest from ancient Roman times through to important places from World War II. Whether you want to see an immaculate palace or a mysterious ancient monument, every English Heritage site is steeped in fascinating history, and you can visit as many as you like at no extra cost when you join English Heritage. Save on your membership now by using the English Heritage vouchers you'll find here when you sign up. You can give an English Heritage membership as a gift too, and treat someone to a whole year of exploring England's rich history. How do I use my English Heritage discount code? 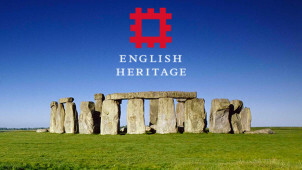 Choose from the range of offers available for membership at English Heritage here at vouchercloud. Click the 'View Deal' or 'Get Code' buttons next to any English Heritage discount deals that appeal to you to find out the terms of the offer and, if a promo code is needed to claim the deal online, get your code. Copy your English Heritage code or write it down to use later. Enter it into the promo code field when you buy your membership with English Heritage through their website. From time to time there are English Heritage offers you'll find at vouchercloud that don't require you to have an online promo code. You can claim these deals automatically on their site, so simply click here to head over there and join! You can pay for your membership in a number of ways, but many people prefer to pay monthly by direct debit. This amounts to just a few pounds a month to grant you exclusive discounts and perks, as well as of course access to all of the English Heritage sites. You can also set up an annual direct debit, and English Heritage offer a discount to people who pay this way. Is English Heritage a charity? English Heritage is a registered charity and relies on the support of their supporters as well as membership and admission fees to keep up their work of maintaining and protecting important historical sites. You can donate to them here. How Do I Organise a School Trip to an English Heritage Site? English Heritage sites are popular for school visits, and you can find information about planning one for your own school here. Are there English Heritage Sites near me? Find out about English Heritage sites in your area here. You can also reach English Heritage online via their contact form. English Heritage is an organisation dedicated to protecting and preserving over 400 places of interest from all different periods of English history. From ancient monuments like Stonehenge, through to castles, churches, stately homes, Roman forts and loads of other sites of interest, English Heritage keeps these places preserved and available for you to visit, explore and learn about. Pick up an English Heritage discount code, and make a saving on membership today! Whether you buy a membership for yourself or as a gift, you can open up a world of inspiring and educational days out all over England. You can book to attend some extra special events through the English Heritage website. Keep your eyes peeled for some fantastic offers here at vouchercloud, and save on tickets for theatre and fine dining evenings. The historical settings and entertainment make for an extra special evening - the perfect way to celebrate a big occasion. Visit the English Heritage shop to find Stone Age style collectables as well as modern-day items too that are sure to impress amateur historians and professionals alike. Here you can indulge in your passion using an English Heritage Shop offers to save on beautifully made wares for the home and garden, as well as for gifting others. With new arrivals each season, whether it's a contemporary printed tote bag or an English Heritage Shop best seller like a wooden Greatsword - you'll find your favourite!